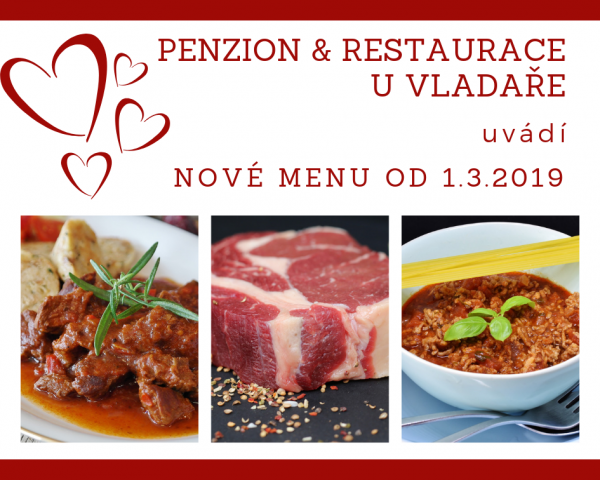 Pension u Vladaře offers a wide range of services right in the guest house or at near Biofarm in Kobyle, where all children can meet our animals which live here. You can enjoy Finnish sauna directly in the guesthouse. Parking is free of charge directly on the square in front of the guest house. Wi-Fi internet connection is fully available free of charge throughout the building. Dining is possible in our restaurant. There is a hot and cold breakfast buffet, half board and full board option. The indoor courtyard features children's playgrounds with a slide, swing and other children's attractions. At our bio farm, only 15 km from the guesthouse you can make your own olive soap and homemade goat cheese that we can serve you for breakfast. Information about courses can be provided by our reception. At the Kobyle farm you can enjoy nature trips with horses, sandbox rehearsal training or skiering.